Scabbia's stuff- New Skin "Claire Redfield from Resident Evil 2"
Re: Scabbia's stuff- New Skin "Claire Redfield from Resident Evil 2"
Welcome back!, I can help with mannequin and skins from pre PS3 generation console and mobile games if they don't have too much equipment and long hair. Aventureimax converted a RE2 model in one of his pack. So, been working on getting back into modding as I've gained more time. With this said. I have a couple mods I have in mind. I went back and downloaded this Rogue Overloaded booster I created back in the day. Not really impressed. 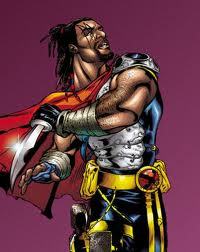 I enjoy it, but it does not feel like the Rogue I enjoy in the comics. With this said, I am working on a Rogue Overloaded 2 booster. This booster will hopefully be more of a Rogue feel than the first. However, this is a future project, I want to continue to work on what I wanted to bring into MUA originally. With the new release of Resident Evil 2 Remake, I would love to bring Claire Redfield into the MUA universe. However, I'm only able to do codework at this time until further notice. In the meantime, I will be working on the Claire Redfield mod and if no takers will take up this request, i will then proceed to Rogue Overloaded 2 booster. Again, glad to see everyone here at Marvel Mods! Looking forward to continuing my work. I can not confirm my contribution because I am already committed to finishing some skins for other modders and I am struggling to solve some problems on those projects. It is great to see modders from years ago who have been away for a while, come back to contribute to the forum. Glad to see you and looking forward for your work! I can make and provide the HUDs. Thank you, that would be wonderful. Welcome back! I wasn't here last time you were here but I'm glad to see people coming back, I love RE and I love Claire so I'm pretty excited to see it, if you need help with the sounds let me know as that is the type of mods I have been making. Oh we also have a pretty active Discord server by the way so feel free to join that if you like! If you would like to contribute with the sounds, I would welcome the help. Especially from a fan of RE. 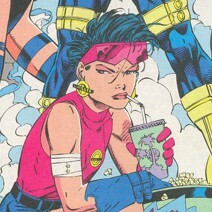 I will be honest though, as a fan of Claire, I personally would prefer the Original Voice actress, especially since she also did Jubilee's voice from the X-Men cartoons. I always found that fascinating. However, I wont be too picky since you would be the one handling the sounds. I don't want to sound ungrateful. I was planning on using that skin and crediting him as it is one of my favorite outfits. I would greatly appreciate the work for skins and mannequin for this mod. Thank you! Honestly, I would like to include a skin to represent her new look from the RE2 remake, however, I am directing this mod towards the older versions of Claire Redfield. Thank you for the offer and it is quite alright. I understand having too much work to be done. I think with the help received, this mod will turn out great. However, if you wish to contribute later, you know we always enjoy your work and it's always welcomed. Thanks again to all of you for the welcoming backs and the offers to help with this mod. I greatly appreciate it. I will say the mod will not be done as quickly as I had done before as the life of Scabbia has progressed since I was last around, lol. I did start the mod when I last posted, but not a lot was done due to work and good ol' Valentines Day. Gotta keep the other half happy, ya know. Again, thank you all. Looking forward to the work for this mod. Welcome back! I love when the older members make a comeback, can't wait to see your stuff.